PowerPoint software application has important role to play in anyone’s life. Whether you are a student, professional or government employee. To give presentation, you have to deal with PowerPoint. And try your best to impress your audience with engaging slide presentation. But, you need complete knowledge and practice of PowerPoint. To exploit the best out of it, and create a impressive slide presentation. Our Advance PowerPoint course in Delhi helps you to get skills and knowledge in it. This course includes – Microsoft PowerPoint, Google Slides, and Open Office Impress training. Furthermore, you get to learn advance techniques and tricks in the PowerPoint. That can help you make not just outstanding presentations. But also come with lot other things such as images, animations, videos and others. ensure that participants get the greatest benefits, and superlative classroom-learning environment. Apart from this, participants get the hands-on-experience and special sessions on presentation training. That will help participants to develop presentation skills. 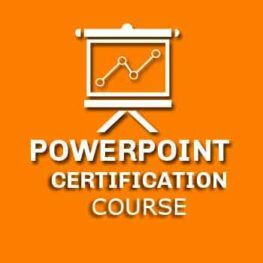 This PowerPoint course in Delhi is suitable for anyone – students, teachers, lecturers, professionals, government employees, businessmen, and entrepreneurs. Learn free tips and tricks, and get free MS PowerPoint templates that we regularly share on our Facebook page. Learn to create super impressive PowerPoint presentations that will help you convince clients and increase sales. Contact us to join this course today.